The Local Government Association (LGA) said the current system is over-complicated, with 35 different national schemes across 13 different age boundaries costing £15bn a year. Research by the LGA also shows a drop of 8% in the number of young people in England who started a scheme last year compared with three years ago. The government has insisted it is not complacent about youth unemployment. 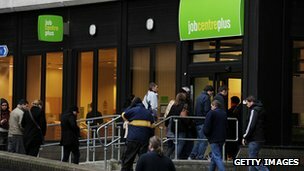 The LGA said 50,000 fewer jobless young people are getting help from job schemes today, than was the case three years ago, despite long-term youth unemployment remaining stubbornly high. The LGA added that not only is the national system too complicated, but that “meddling” by successive governments has made the situation worse.